Nikki 305’s Pick For Party Of The Week!! Fashionista Fridays At Mekka ! 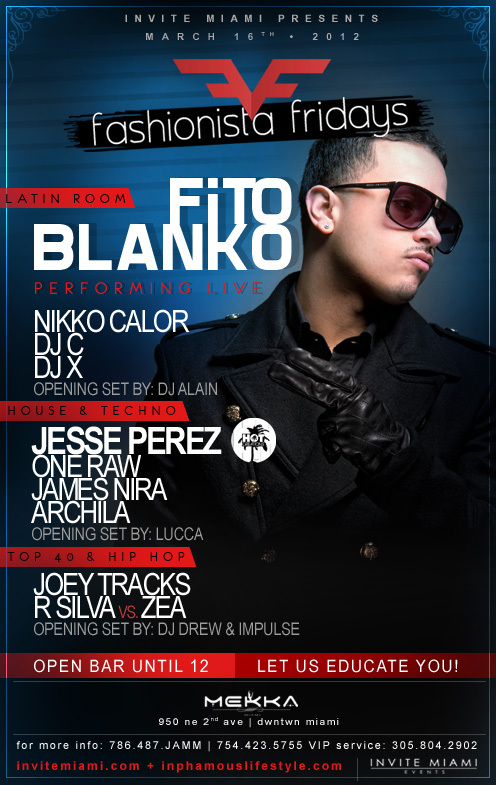 Special Guest @FitoBlanko ! Previous El Diañe Cerá Que Omega Va Tirá Piedra?! Quien Le Entra A Una Niña?! Next Lady Gaga Says No More Interviews!